While we are a lot dependant on computer technology these days, things can go awry when the hardware fails. Whether it’s for personal use or business, a PC or a laptop is a major requirement in the current times. It’s where we store most of our data like photos, videos, music, and other confidential files. So, when the system crashes (which is quite common due to the hard drive failure), it can get really frustrating. Losing data can be disastrous, especially if its related to your business. The only thing that can protect you from such misfortunes, is backing up important data using a reliable backup software. Yes, backing up your system data is a not so enjoyable process since it’s time consuming, but it can prove to be really worthwhile in the long run. Moreover, you are also protected from the nasty cyber threats like ransomware. So, one fine day, if you wake up to a cyber-crime, but if your data is backed up, you know it’s still safe. In this post, we have listed some of the best backup software for Windows that area a must-have for every Windows PC. Easus Todo Backup is another great software that allows users to backup crucial files or the entire system using its well-organized interface. It’s a user-friendly software especially suitable for home users enabling them to back up their photos, videos, music, and other private documents. Backup, clone, and retrieval of GPT disk. Setting priority, splitting and compressing images, transferring hard disk to another, backing up CD/DVD, etc. are some of the other notable features of the software. 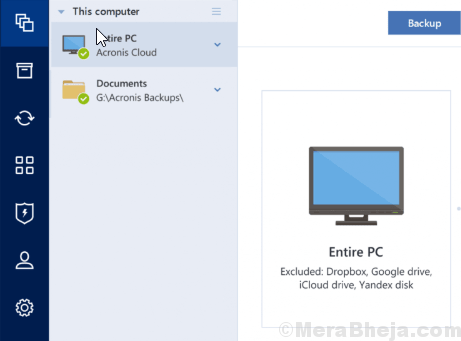 If you are looking for an absolute backup tool for your home PC, then Acronis True Image 2019 can be a great solution. From backing up all the images on your PC, or backing up the files you want to storing it to an FTP server or a flash drive, this software offers all the features expected of a reliable backup software. As an extra – it also offers scripts and guides on how to uninstall completely. Best of all, it stores the exact capture of the data on Windows. Besides, it’s a cross-platform software that works with all major software. 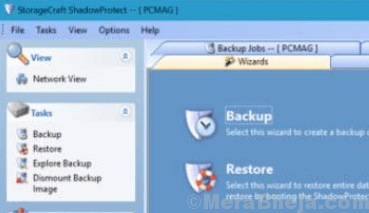 Paragon Backup and Recovery is one of the best backup software for Windows that offers worry-free data and system backup. From saving data, to automating the backup process, or creating intricate backup procedure, it offers all the basic features of a regular backup software. Offers WinPE based restoration media that helps with a useful tool allowing them to carry out more tasks using a bootable flash drive. With a complete range of backup and recovery solutions, Paragon safeguards the hardware helping users to perform intricate tasks, effortlessly. 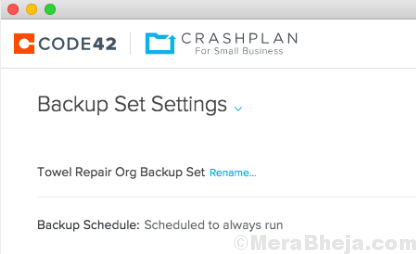 Crash plan is especially designed for small businesses that keeps them worry-free from losing any important business data. It helps them backup and recover files from all their devices that also includes recovering data from external hard drives. Thee best part is, it offers automated backup scheduling therefore, the backup process goes on in the background without any interruption and without any human assistance. Bonus – it allows the users to utilize the custom 448bit user-offered encryption code to encrypt the backed-up information stored in the cloud. 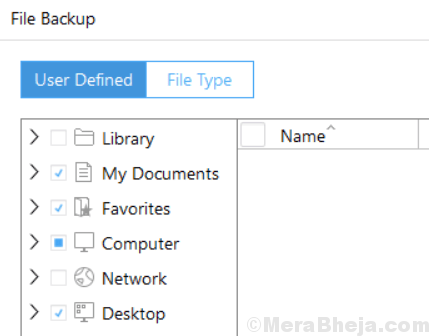 Moreover, users can also set up multiple destinations to save the backup data. Besides, the software updates just that changed section of the file, saving both time and bandwidth. StorageCraft ShadowProtect 5 desktop claims to be the best in offering trustworthy data protection and disaster retrieval. It’s one of the fastest and safest ways to retrieve data and recover the systems. With this software, businesses get a single cross-platform solution that safeguards a blended, hybrid environment. The software makes sure that business systems and their data are completely protected from any disaster. It helps users fulfil or overcome their recovery time and recovery point objectives. Best of all, it helps recover lost files and failed servers easily. What’s more? Using the Virtual Boot technology, users can backup photos into a virtual machine. If you are looking for a free backup software, then Comodo Backup is one of the best solutions you can rely on. From backing up data and files, offering online storage, self-recovery to scheduling, you can expect all the fundamental backup and restoration option from this software. As a primary function, it helps users to back-up their online data by protecting the files and allowing them to access it from any system. Comes with a utility that scans all the user data and classifies them into file format for convenient backup. Furthermore, all the user backups are saved in form of custom profiles, while they can be operated any time in just one click. 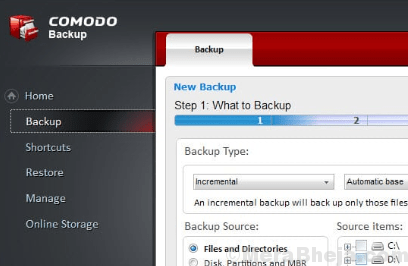 Burning the backup data to optical media, or performing clones and partitions of disks, are some of the other features of the Comodo Backup. AEMEI Backupper Standard/Professional software is a complete solution for Windows that’s designed for home and business use. It’s a fast software, and undoubtedly one of the most reliable. 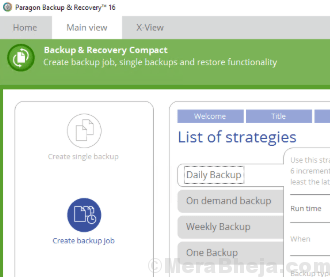 This simple backup software includes all the basic features of an efficient backup software with full support backup and restore facility for disks/files/systems/partition. It also offers support for file sync and system clone, along with backup scheduling, combined images, active volumes backup, etc. Safe backup of all data in the PC (disks, systems, separate files, and partitions), comprehensive recovery and chosen file recovery, step-by-step OS transfer, upgrading hard drive without Windows installation, pack of useful utilities (pre-box tool, creating bootable disk, blend backup images, etc. ), support for multiple languages, or file syncing in rea l time, are some of the major features of this software. Looking for a reliable and efficient backup solution for your Windows PC? Macrium Reflect is one such software that not just helps you to backup your confidential data and files, but also offers solutions for disk imaging, and cloning. From protecting data, or trying new operating system to upgrading the hard disk, the software ensures that all your information is safely stored in a backup file that can be easily recovered. Progressive backup, and capable scheduler. NTI Backup Now 6 has been in the business since 1995, and it has been since proving its skills in the domain quite efficiently. NTI Backup Now comes with a wide set of products that are fast, reliable, and easy to use. The products offer backup for social media, mobile phones, clouds, PC, files and folders, and also come with cleanup utility. The advanced versions provide support for NVMe SSD, cloning flash drive, or SD/MMC/eMMC devices, and UAS/UASP interfaces. Continuous backup, cloud backup/restore, file and PC backup/restore, are some of the main features of these products. Allows you to monitor backup health on the go. Best of all, it backs up all your important data on your PC, or on any external or network drives. O&O DiskImage 14 Professional is another great backup software that lets you stay updated with the O&O newsletter, on a regular basis. Using this software one can back up either an entire system or different files and drives as per your convenience. The best part is, you can even backup while your PC is in use. 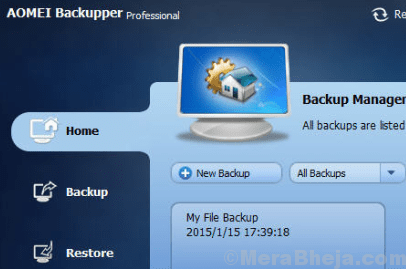 The backups are further recovered in just a few clicks even if the Windows is not starting. What’s interesting is, the software comes equipped with features for both the personal users and IT professionals in one single product. You can make use of the different default and other options defined by users to build the most suitable backup environment. Bonus – it also allows you build an external disk using the copy of both your PC and a boot medium. If you are looking for a user-friendly backup software, then there could be no better competition than the free Easis Drive Cloning. While the free version comes with the features like, drive cloning, making hard drive images, and rewriting images back to the drive, the pro version offers features like, high drive compression of images, bad sector re-READ facility, and the option to cut down image size to real partitions. NovaBACKUP professional is one of the leading backup software for Windows OS. It comes with complete backup security features that includes top-rated software, efficient technical assistance, and free upgrades to the current versions. It’s a simple, yet dynamic software with automatic backup facility that does not require an IT specialist to handle it. Its range of products offer complete backup features that allows you to select between file-level or image-level backups, so that you can either backup a single file, or the whole PC. Offers local and online backup as well as file sync. Best of all, it’s 4 times faster than its competitors. Among its newly added features are, built-in P2V support, and multi-threaded backup and retrieval. Besides, it also shuts down automatically after backup is complete. Duplicati is a completely free backup software that helps save encrypted backups online for Windows and other major platforms. It works with bot the usual protocols like FTP, WebDAV, SSH, and the well-known devices like MS One Drive, Google Drive, hubiC, Amazon Cloud Drive & S3, and more. Especially designed for online backups from the start, Duplicati comes with strong encryption securing your privacy. It offers all the features by any other backup software, and is configured by web-interface that runs in any browser. Backing up your PC is one of the most important tasks that should be in your priority. This will ensure that your PC is in top performance at all times, while your crucial data is saved. So, get a powerful backup software today and boost your PC performance.